Greetings from Huong, Ella, and Kaylee from The 88 Project! We are bringing to you news, analysis, and actions regarding human rights and civil society in Vietnam during the week of June 5th to 11th. This week, Vietnam attended the 35th meeting of the UN Human Rights Council, despite a continued crackdown on activists and protesters in 2017. 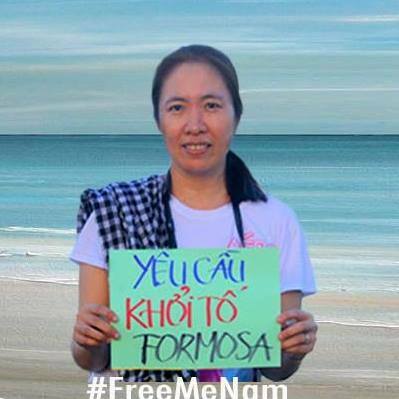 There is news on blogger Nguyen Ngoc Nhu Quynh (Me Nam), who may be going to trial soon. 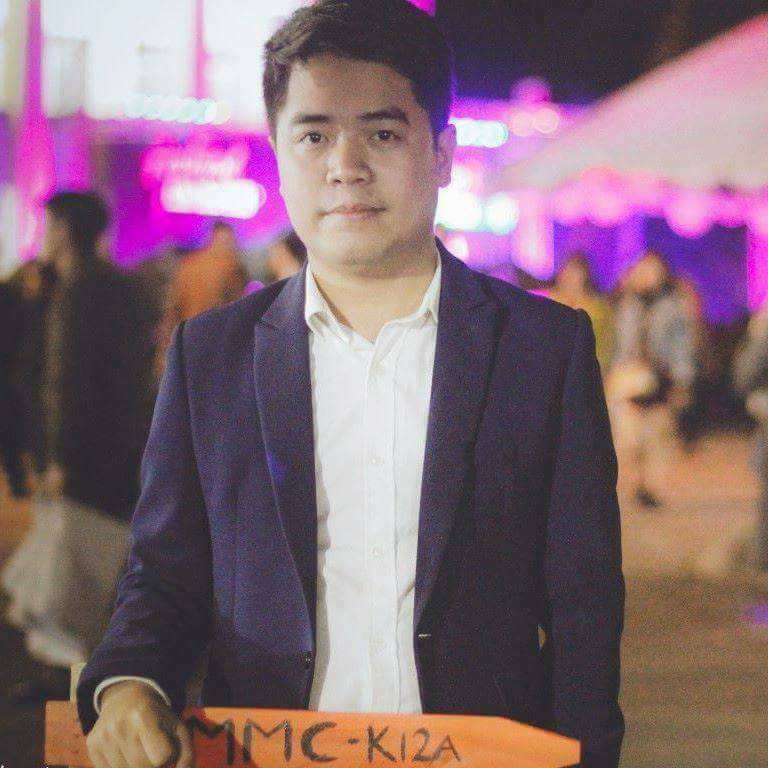 We are thinking of young journalist Phan Kim Khanh as he spent his 24th birthday in prison. Former POCs Pham Minh Hoang and Le Quoc Quan were recently targeted, as well as priests and community members linked to the anti-Formosa environmental movement. Sixteen Montagnard refugee status seekers have been returned to Vietnam from Cambodia. We also have analysis on recent news regarding activism and US-Vietnam relations. Please take Amnesty International’s Urgent Action for anti-Formosa activists. 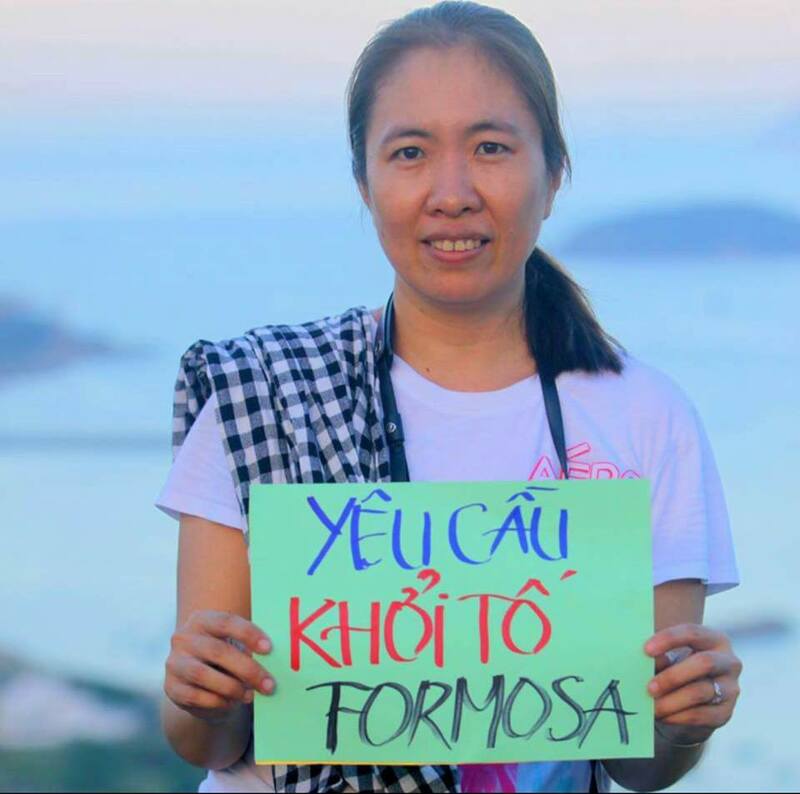 Blogger Nguyen Ngọc Nhu Quynh, aka Me Nam (Mother Mushroom), who has been in incommunicado detention since her arrest in October 2016 under Article 88 for “propaganda against the state,” may finally be going to trial. She recently sent a letter requesting defense counsel to lawyer Nguyen Kha Thanh’s office. By law, the government must grant her lawyer a defense certificate within three days of the process being initiated so that she can be defended. This will be the first time Me Nam has access to a lawyer since being detained and leads many to believe that she will soon be facing trial. We are thinking of young citizen journalist Phan Kim Khanh, who is currently being held in pre-trial detention, as he turned 24 in prison on June 5th. He was arrested in March 2017 under Article 88 for running anti-corruption and pro-democracy websites, and will soon begin his third month in incommunicado detention. Read our update from mid-May on his situation. 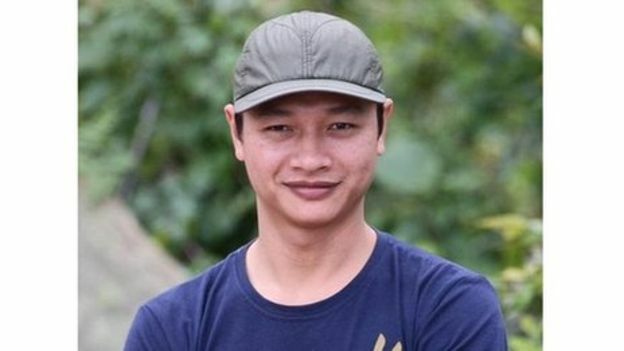 Radio Free Asia published an exclusive interview from an unknown location with environmental activist Bach Hong Quyen, who is now in hiding as he faces a nation-wide wanted notice. In the interview, Quyen said he would consider receiving assistance from organizations or other countries in order to remain out of prison and continue his activism work. Watch the video interview (in Vietnamese) here. Pham Minh Hoang, a professor and former prisoner of conscience, was recently notified that his Vietnamese citizenship was to be taken away. The government’s decisions to revoke his citizenship were sent to his home on June 10th, but they provide no rationales for the revocation. A dual-citizen of France, he has decided to give up his French citizenship in order to try to reverse or stave off the loss of his rights under Vietnamese law, so that he can ultimately stay in Vietnam with his family. It remains to be seen whether the government will follow through with its attempts to revoke his citizenship. Reporters Without Borders has expressed its “extreme concern” about the Vietnamese government’s intention and condemns this persecution of Hoang. 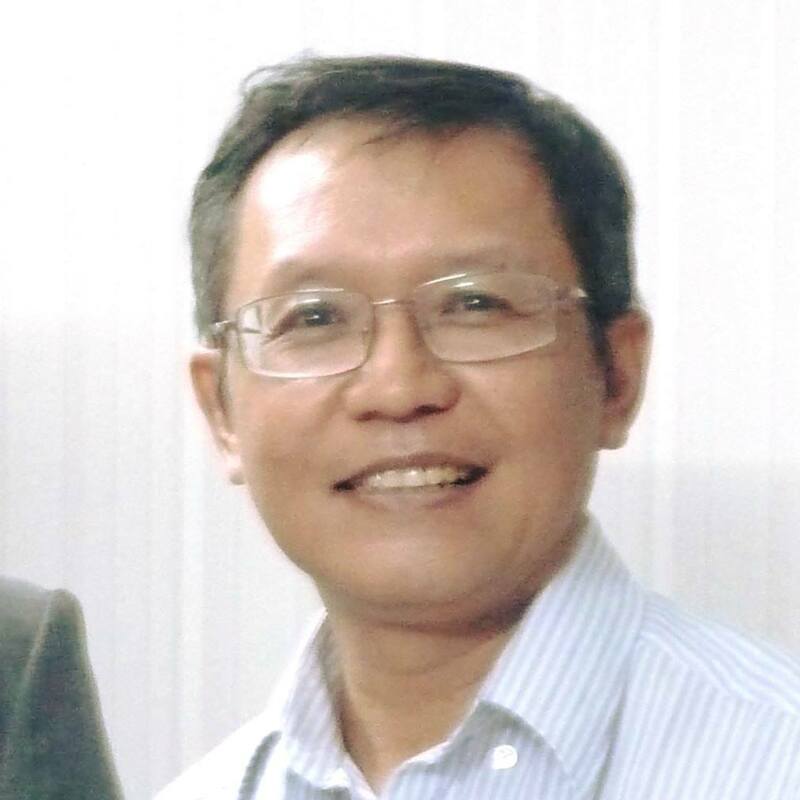 Professor Pham Minh Hoang had served 17 months in prison during 2011-2012 for his pro-democracy blogging and for joining the pro-democracy political party Viet Tan. This week, vandals targeted a church known to be a vocal supporter of the anti-Formosa force that has tried to seek accountability for the massive environmental disaster that began in April 2016. A church camera caught people vandalizing the church in the middle of the night, pelting it with rocks. Before the vandalism took place, a group of motorcyclists were also spotted in the area waving the Vietnamese flag and harassing involved community members. Their anti-protester message particularly targeted two priests with known involvement in local organizing, Dang Huu Nam and Nguyen Dinh Thuc; the two have been singled out in recent months for their activism. The Formosa fallout is still affecting fish and livelihoods on the Central coast more than a year after the initial spill. The UN’s World Environment Day was June 5th. Sixteen Montagnards from the Central Vietnam Highlands were returned to Vietnam from Cambodia this week after Cambodia denied them refugee status. At minimum, 3,000 Montagnards, who often face persecution in Vietnam, have fled to Cambodia in the past fifteen years. If you haven’t already, please take Amnesty International’s Urgent Action for activists at risk of imprisonment and harassment for their protests against Formosa and the environmental fallout from last year’s spill.